It‘s a low-maintenance plant which is simultaneously easy to take care of and quite fascinating: The scabiosa, with its delicate luminescent shaded blossoms, refurbishes your flower bed with a multitude of shiny colors. 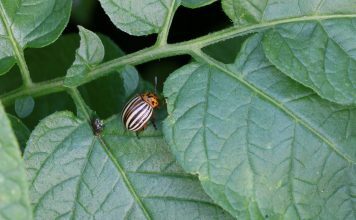 Besides the pleasure that humans draw from looking at it, various insects also appreciate the plant because of the nectar it produces. That nectar feeds a diverse selection of insects like bees, bumblebees and butterflies. Find out how to keep your scabiosas effective and beautiful. 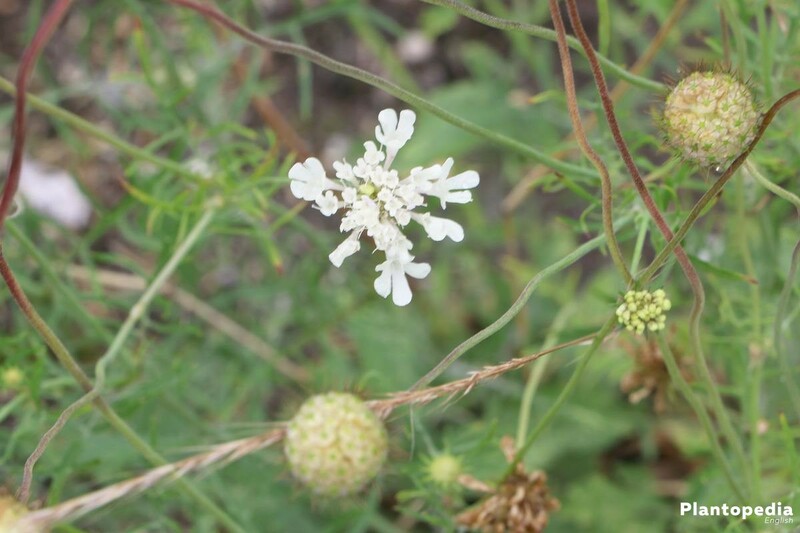 The scabiosas, which are also known as the pincushion flower or gypsy rose, belong to the caprifoliaceae family. 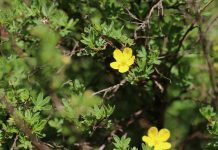 Scabiosas are by nature an annual or persistent herbaceous plant. There are approximately 100 different species around various parts of Asia, east-Africa and Europe. The latter continent contains around 20 of those species, in particular the cream pincushions. The scabiosa is environmentally protected in some areas of Germany. 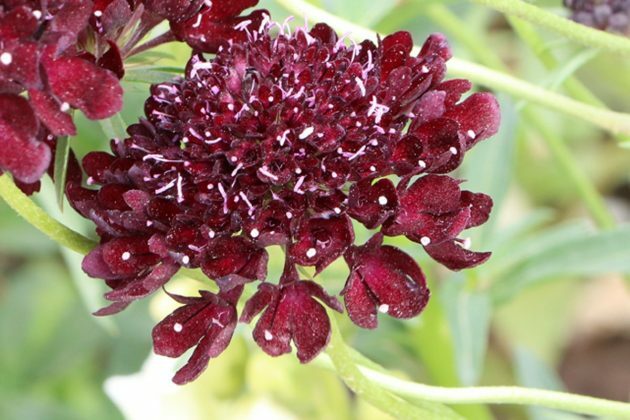 If you want to see your scabiosa blossom magnificently throughout the summer, keep our profile in mind that contains various tips of how to properly take care of your flower. 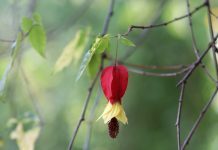 The flower should be kept somewhere protected from wind and exposed to sunlight. The flowers blossom just as well in the shade, however on the long run tend to suffer from a lack of sunlight. Ideally, the scabiosas should be exposed with light about half a day. The soil should be light and permeable and contain limestone. Scabiosas should on the contrary not be planted in heavy soil rich of clay and mud. If the soil is too heavy, it can be enriched with gravel and crushed rock to offer an enhanced living space for the plant. Acidic soils should be avoided at all times. 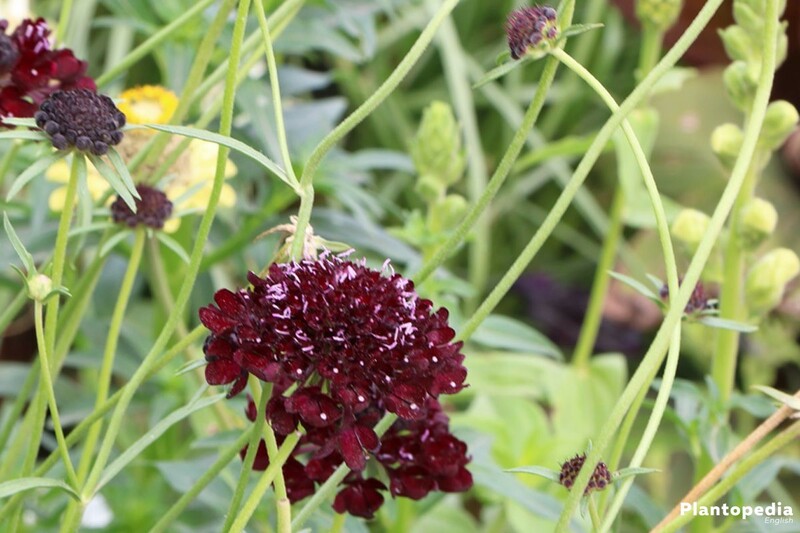 The scabiosa loves the sun and can easily tolerate even longer dry periods. Water is only needed during extraordinarily long dry periods. 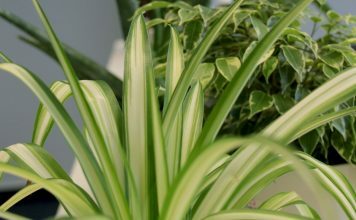 In that case the plant should be watered during the evening hours or when the exposure to sunlight is limited to a minimum. 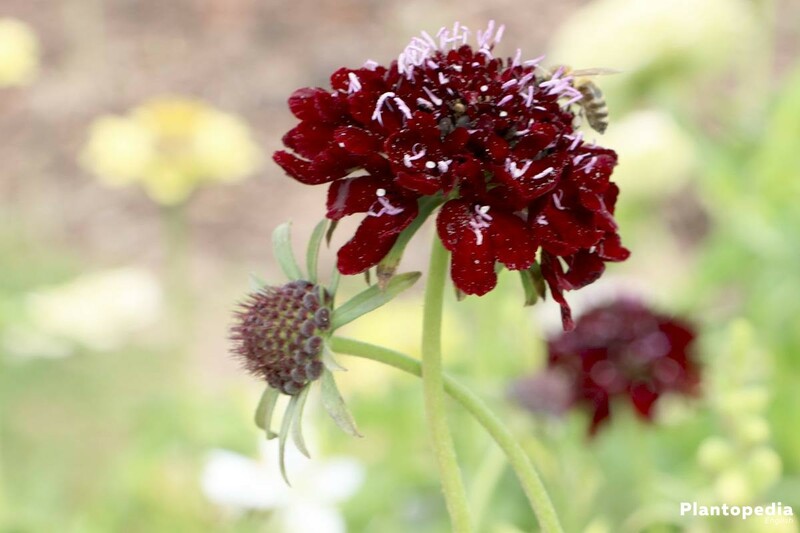 If the scabiosa is exposed to too much sunlight after the watering process, a sunburn could occur which in return has derogatory effects on the well-being of the flower. 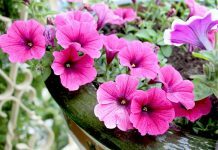 Among the positive effects of watering the flower during evening-hours is the prolonged period the flower has to fully absorb and process the water. 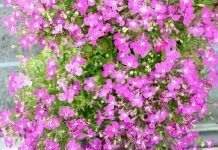 Not that different are the needs of the flower concerning fertilizer, though sorely needed for the flower to blossom persistently. Whether you use an organic, or mineral-based product is up to you. 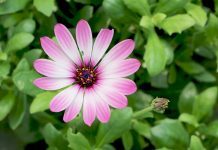 To be recommended is a long-term plant fertilizer because it contains all the necessary micro-nutrients and thus feeds the flower for a whole season. Considered an appropriate amount are approximately 20 to 30 grams per square meter. 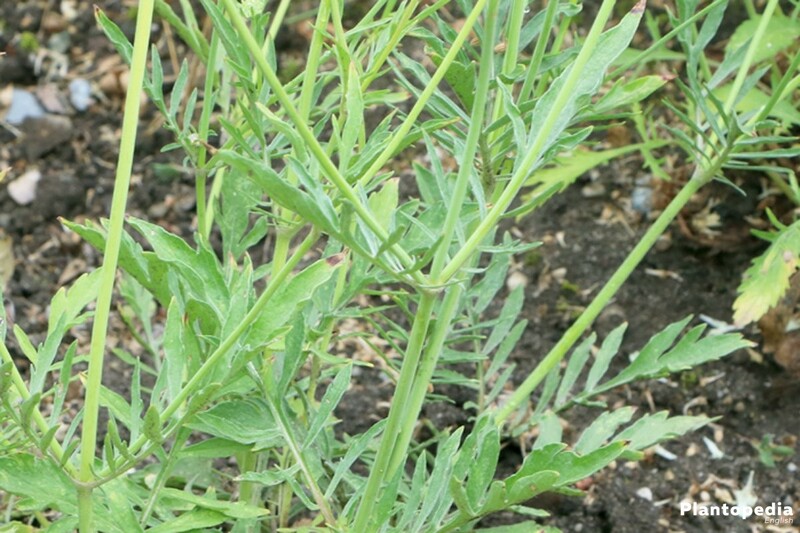 Special hint: Due to the delicacy of the plant it can easily be negatively affected by weeds. 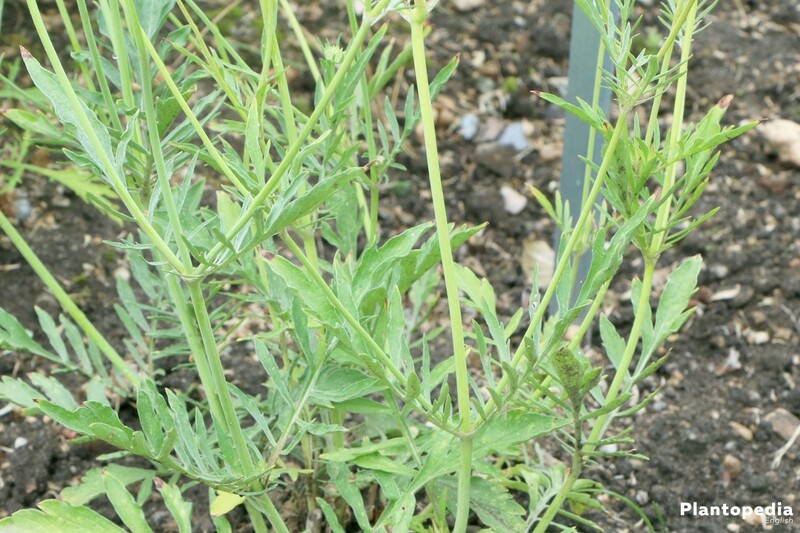 Soil weeding is thus recommended to be carried out on a regular basis. Following is a step by step instruction of how to plant your scabiosa. First step: Loose and insert compost into the soil before planting the scabiosa. Tip: If you are facing problems with clay soil, you can improve the structure with a 5 cm thick sand layer. The sand layer should be placed under the clay soil. Second step: Dig a hole for the flower into the soil. The size of the hole should be twice the size of the bale. Third step: Put the scabiosa into the hole. It should be inserted as deep as it was positioned in the pot. Fourth step: Solidify the soil by pressing onto it and afterwards water it so that the bale of the scabiosa can absorb an appropriate amount of water. 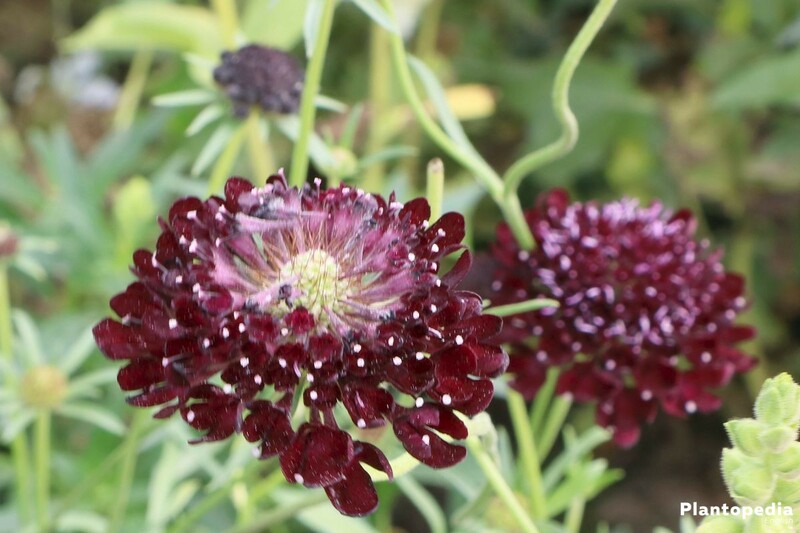 There is generally no necessity to cut a scabiosa. There are two exceptions. Cut the crop down to the soil. This way you ensure that the plant can appropriately prepare itself for winter storage. You don’t care about seed development or self-seeding? 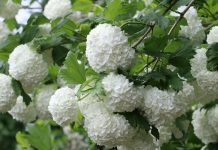 If that is the case, then cut off the blossoms directly after flowering. 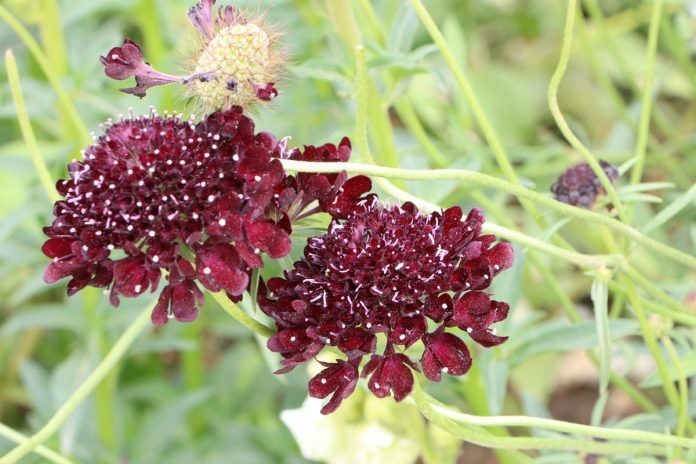 The positive effects that it has on the plant range from: It will improve the ability to blossom and incentivise the scabiosa to generate more blossoms. In any other case you will merely have to remove withered flower-parts. The storage during the winter should be done differently with annual and persistent species. First step: The annual species do not survive the winter. 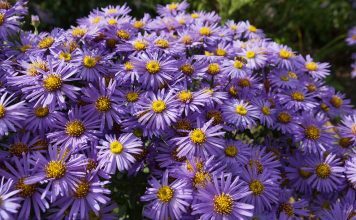 However, they are sowing themselves and as result there will be growth of new flowers in spring. 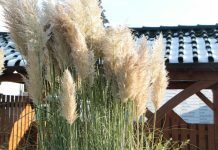 Second step: Multi-annual species are generally not negatively affected by the winter. They hibernate with so called hibernation buds. They survive at the surface. You can protect the plants by covering them with foliage. 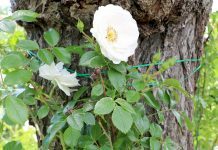 You can also protect the flower with a thick layer of snow. Starting spring, the scabiosas will grow out of the hibernation buds. Hint: Cultivate your scabiosas in buckets so that you can effectively place them depending on the shifting weather conditions. A completely dry hibernation is not necessary. Certain species of the scabiosa can multiply by sowing or vegetative reproduction. Some species are multiplying be self-seeding and are that way taking care of the whole process themselves. Annual species should be sown in the spring. 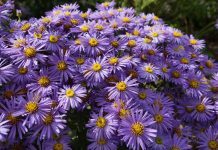 If you want to utilize seeds of existing flowers, you can do so by storing them over the winter in a cooled, dark and air-conditioned environment. 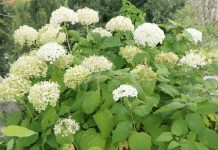 In late spring you can take them out and subsequently seed them into your flower bed. Here are some instructions. First step: Place the seeds approximately 3 mm into the ground and lightly cover them with soil. Second step: Keep the soil wet. However, remember not to overdo it. Third step: As soon as the seed is large enough, you should place it onto the desired location. Optional to the direct sowing: It is possible to cultivate it indoors in a glass or foil. By using this method at the start of the year in January or February, it is generally possible to receive more seedlings compared to direct sowing. This is how it works in detail. First step: Spread the seed in an appropriate substrate which should be located in a cultivation vessel. Second step: Cover the seeds with substrate. The cover layer should be thin. Third step: Keep the cultivation environment wet and cover it with a glass or foil. This will generate optimal conditions for sprouting. Fourth step: As soon as the first seed leaves are growing you can remove the glass/foil. This way the plants will get used to the exposure to fresh air. 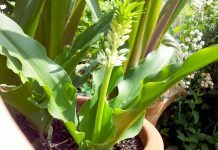 Fifth step: After the development of two leaf pairs, you can thin out the young flowers and plant them outside starting May. Regeneration makes sense particularly concerning older herbaceous crops or flowers which have lost energy. This process should be done during the start of spring. This is how it’s done. First step: Dig up the plant and try not to damage the root. Second step: Pull apart the several parts of the flower. Third step: Plant the newly generated parts of the flower into adequately prepared soil. 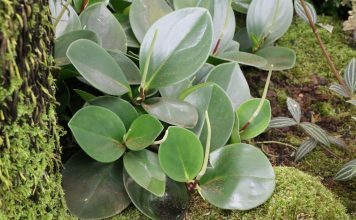 Some species can be multiplied through the cultivation of cuttings. The following describes how it works. First step: Cut out 3 cm long cuttings or flowering tips from the mother plant. You can do this from spring until early summer. Second step: Remove the lowest lying leafs. Third step: Put the cutting in suitable cultivation soil and cover it with foil. Fourth step: It takes four to six weeks for roots to develop. 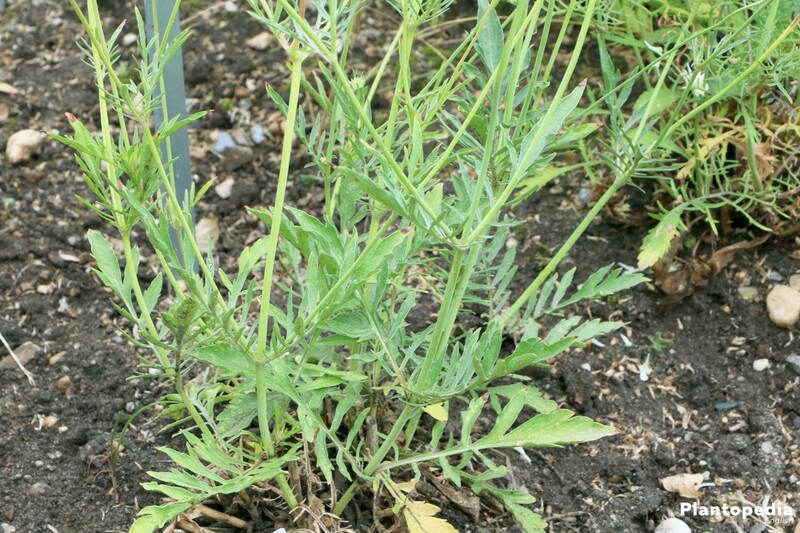 Fifth step: The cutting can be removed as soon as the first leaves grow. Healthy leaves are indicating a healthy root. Scabiosas are luckily not easily affected by diseases and other negative effects. 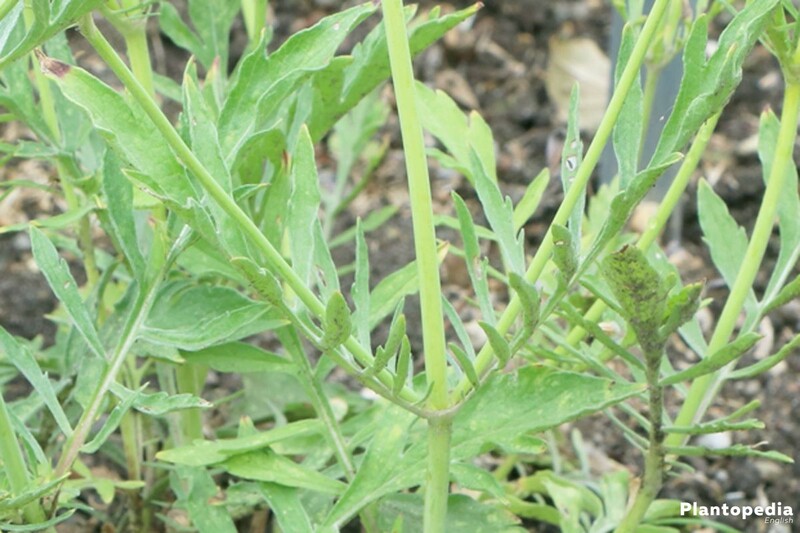 The only condition that could have fatal effects on the plant is waterlogged soil. Waterlogged soil can lead to the rotting of the root which in return almost always proves fatal to the plant. Recommendations: Always take care of the soil and make sure it is light and permeable. Water the plant only during long-term dry periods. Scabiosas that look like they are withering could be suffering from rot. If you have a suspicion in that regard, you should carefully dig it up and inspect it. If you notice that your plant is indeed suffering from rot and it is still within the starting period, you should simply cut back the root. 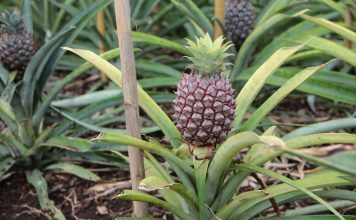 Before placing it back into the soil, make sure to renew the plant soil. 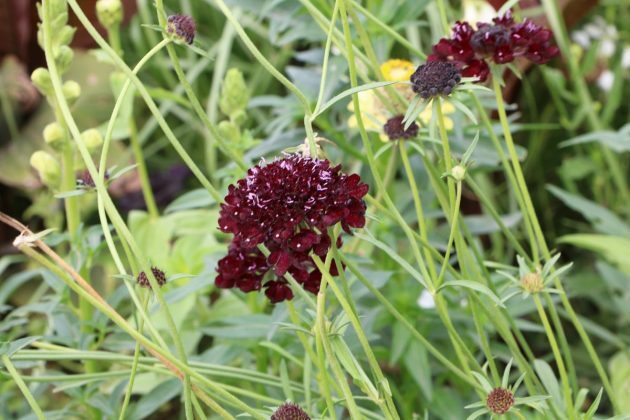 Hint: If the plant soil is too moist you can try to insert a drainage into the planthole or find a more suitable spot for your scabiosa. If the rot is too far progressed you will not be able to save the plant. This species is about 30 to 40 cm tall and is popular because of its delicate pink blossoms. 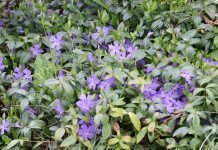 After a mild winter, one can observe the full intensity of the colorful blossoms from early march, otherwise you will be able to enjoy it from July until October. For the plant to regularly produce fresh blossoms you have to remove withered ones first. It can easily withstand negative temperatures until 23,4 °C.